My name is Dave and I’m really excited you’ve stopped by this page today. 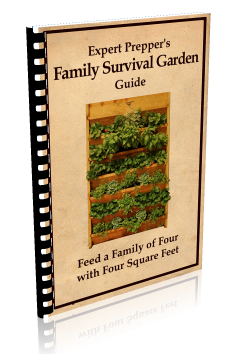 You see my good friend Skip Tanner, the Expert Prepper, and I have a new eBook out called Family Survival Gardening – A Simple Non-GMO Solution for Anyone. This unique eBook covers topics that survivalists, preppers, gardeners, organic enthusiasts and families will get full use of. 3. Simple and practical methods that can keep your garden producing top yield year after year. This is our 2nd book we’ve done together and it’s a perfect and we believe this book will be a welcomed addition to your affiliate offerings. Now Lets Get Down To Some Business. Today, I want you to help get the word out about this rare and unique offer: Family Survival Garden by Expert Prepper. We are offering you 75% commission on every order of Expert Prepper’s Family Survival Garden as well as our pitch upsell path. With an average of 3.2% CR our email promos are converting well above your typical gardening offer too… Our own survival list saw an incredible 11.76% CR. And since we expect to do all the hard work here… we want this to be super easy for you to start making money. We will continue to provide you with the best converting sales pages, pitch pages, the highest quality articles and email promos as well one on one support for anyone in need. We will also be running some great affiliate contests to boost your earnings potential even higher. To make sure there is never an interruption between your visitors and your commissions we use ClickBank to ensure accurate sales tracking and quick payments. If you aren’t a ClickBank affiliate yet click here and sign up today. It’s very simple to get started all you have to do is sign up below and send one of the optimized emails and articles to your list, drop a banner on your site or add a link to your next prepping article. To learn more about the Expert Prepper’s Ultimate Partner Program please read on. Or take action right now and sign up below and start earning today. To many offers out there leave affiliates guessing and fending for themselves… guessing as to what converts, what works for different sources of traffic and just how to promote the offers successfully to the niche. For starters, we are not like the others. We believe and know that affiliates provide the best source of traffic our there. Not only that, but we know that affiliates are also some of the hardest working people in online marketing. That’s why we are here to support each and every one of you. We will provide unique, cool and interesting copy that will cover all your survival and GMO Free gardening interests groups. We will even be running some random contest where each sale can qualify you for AWESOME prizes and even cold hard cash. Plus, if you need any assistance along the way we are here to help. Because we believe the best way to sell products is to give real value to your list. We deliver so much great content and value to our prospects that they feel COMPELLED TO BUY something out of appreciation for all of the life saving information they have received. Your list won’t believe that you are promoting someone – Our Landers, Articles and Letter are highly optimized for our content pieces, soft leads, banners and promos. But that are also very informative for the viewer. And there’s more… much more… really. All of this comes with a few extra perks. You will be delivering incredible content to your list in a way that informs and cultivates a stronger relationship between you and your list. You will be earning 75% commission on all front-end sales and up to 75% on our pitch upsell path. If you sing up today you will also be enrolled surprise affiliate contest. We love to run some random, but fun affiliate contests for prizes and cash – meaning each sale during a contest gets you one step closer to those awesome prizes. Now, we’re here to line YOUR pockets with the fruits of our prepping, heck that’s the way it should be, all we need you to do is sign up and start sending quality content to your list and site visitors.